If you are experienced in the topic of scientific research (or maybe even a researcher yourself), are extremely comfortable and familiar with finding and reading scientific research on essential oils, or you’re a highly educated academic in a relevant field, then you probably won’t get much value from this post. If however, you’re a seasoned user of essential oils or even an enthusiastic newbie, and want to be a more informed EO user, then learning more about scientific research (and how to find and read it) could prove to be of interest. Likewise, if you are a therapist who wants to start referring to scientific essential oil research in your practice, then this guide will help you too. 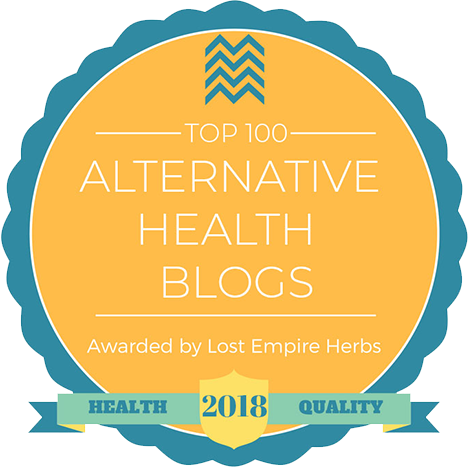 You probably won’t find essential oil research studies posted to blogs (including the Sacred Soul blog), therapist websites, aromatherapy retailers and most other ‘general’ websites you might find yourself browsing… no matter how good the information is that they post. These sites might ‘link’ to studies or they might create content that summarises a study or studies, but it is highly unlikely they will post an actual study in its raw form, for you to then extract whatever information you need from it without additional opinions and commentary. These educational establishments have research departments and part of what they do, is produce new research on an ongoing basis. This is probably the main place for the vast majority of people. It’s basically a search engine for life sciences and biomedical topics and papers. Google’s search engine for academic papers. Although it does pull from official repositories, it also ‘crawls’ the web to try and find what it ‘thinks’ is an academic paper. There might be some results that are not academic papers but it’s still a good resource. This search engine pulls from multiple federal research agencies in the US. Note: You still need to check the legitimacy of the study even if you sourced it via PubMed, as it’s not ‘only’ research studies that are sourced from the search engines. First look at the author, or if there is a list of multiple authors which is often the case, look at the first one. The author listed first is usually the lead researcher. Have a search around and see what you can dig up on this person. Are they suitably qualified to carry out research in this particular field? You should expect to see a good standard of higher education (Masters Degree or above) and a relevance of the person to the field of the research. Aromatherapy and essential oils is one of those fields that is lacking in scientific research and this creates controversy, mixed opinions and theories. To try and prove a point, you might get people from other fields carrying out studies but they might not be the best person to carry out this study and may also carry some bias to what they want the findings to be… just something to be mindful of. Anyway… if you’ve checked out the author and they look credible, then next you should check that you actually have a research paper. We do this by looking at the purpose and format of the piece. An introduction and background to the study – this explains why you should care or why it matters. An abstract – this aims to give you an idea of whether the study will be worth your time or money if you have to buy it. A teaser basically. Do you think it will help to answer your question? Look at the purpose behind the paper. If it is an aromatherapy or essential oil research study, the purpose will be very specific. If it is a general article, it probably won’t be and might summarise several studies. When we say specific, we mean specific. Like does this particular essential oil have this specific outcome, under these specific circumstances, measured by this particular method, in this application in this group of subjects over this time period. When you decide to look for an aromatherapy research study to try and help you answer a question you might have about essential oils, it’s easy to take a position of bias… whether consciously or sub-consciously. Don’t do this. Don’t just search the abstracts for studies that support what you ‘want’ the answer to be. Instead, keep your mind open, dig deep into the topic and look at all the facts, as this is how you get the most from using scientific research to improve your knowledge. Will attempt to tell you why you might want to read the study. The purpose of it and maybe what has been done previously and how this study builds on this. It will tell you what question the research team is trying to find the answer to by doing the study. It will be a question that hasn’t been answered previously and remember it will be very specific. Does this align with your question and what you are trying to find the answer to? Not at all? Move on. Yes? Keep reading. The abstract will also mention something about the methodology which is how the researcher tried to answer the question. What you are actually looking for here, is a study that answers the question you have and to see where the findings fit into the bigger picture. Again, remember not to cherry pick the ones that support the answer you want it to be. Keep an open mind and look at the facts. So you’ve searched PubMed and found a study. Researched the author and been through the abstract and decided that this is essential oil research that could help answer your question and so decide to acquire the study. When you get it, don’t just dive straight in at the conclusion. First look at what they are asking, how they found the answers and what the findings told them. The methodology will show you what type of research you have and this is important as you need to read the study in the right context based on the type of study that it is. This will give you an indication of the quality and reliability of the study too. This is when an expert in the field has encountered a case that is outside of the norm. This could be a practitioner who has used an essential oil with a client and experienced a new outcome or effect. What they might then do, is compile everything they can about the case and document all the information (every specific detail!) they can and write this up as a case study in a journal to share with other professionals. In doing so, this can often trigger further research into this topic. When you read an essential oil or aromatherapy case study, you need to know that this is not normal. It’s something someone has encountered that is very unusual, which means it will probably be hard to replicate the situation and see the same result. For that reason, it’s not really something that you would want to use as evidence to support a particular stance or theory. A clinical trial is probably what you think of when you think scientific research. It’s where there is a control group and an intervention group, although the control and intervention could be the same group just tested over a different time period. The participants are probably ‘blinded’ so they don’t know who is getting what product or even if they are getting a product at all (placebo), and there’s usually some sort of benchmark to compare the findings against and measure the trial. This study analyses a single moment in time. It does not analyse or inform you about what happened before or after this moment… a bit like a photograph. You are left to speculate the before and after. Due to there being no timeline, you can’t establish causation. In this essential oil study, you are simply gathering all the information you can about this particular snapshot in time and group of people and taking a deep dive into the data to identify trends, patterns, relationships and groups of people who might need intervention. There is no intervention in this study but it can be used to inform further research (such as a clinical study). We mentioned this earlier and it is the study of studies. Whereas in a regular study, each point of data might be an individual, in a meta analysis, each point of data is an entire study! Because you are reviewing many studies together, you are able to draw strong conclusions. You need to really segment the data though in order to draw valuable insights. Segment every way you can such as gender, age, geo-location, income, diet, work, activity, medications… everything that you have available to you. For example, you might have lots of aromatherapy studies claiming that a particular essential oil helps with anxiety but then one substantial study with findings that indicate it doesn’t help with anxiety. When you drill down into the data, you might find that when people take a particular medication, then this essential oil is ineffective against anxiety and actually makes it worse but for everyone not taking this medication, it actually helped reduce anxiety. Due to the level of insights that can be drawn from a meta analysis, they can deliver solid evidence in the field of research they are applied. Can you see why reading them in the right context is so important? It’s also important as depending on the question you seek an answer to, will depend on the most suitable types of aromatherapy research studies to look for to help answer it. Don’t just pick whatever study you like. Try to match the type of study that is the most appropriate for your question. In recent times, it is now required for research to state the type of study in the title but this isn’t always the case so don’t rely on it. Check the methodology. This is the part where all the armchair experts start picking at it, debating and criticising. Just because a study doesn’t agree with your opinion or isn’t the study you would have done or that you want, doesn’t make it a bad study. Once again, it’s important to keep an open mind and simply look at the facts. For evaluating quality, this starts with looking at how thorough the information is and if the study can easily be reproduced with similar results. When we talk about the ability to reproduce the study with similar results, it is because the essential oil scientific research studies are written by researchers for researchers… so that they can replicate the study. In order to replicate the study effectively, there needs to be extremely specific detail about every aspect of the study including the participants, how they were chosen, the situation, the criteria, the analysis, methodology etc. Was the exclusion/inclusion criteria for every participant very clear? Instrument validity – how are they measuring data and how effective at measuring are the instruments? Even if you don’t understand what these things are on the bullet list above, you can still use it as a checklist to see if they are present in the study as this will give you confidence that it is probably a quality study. Firstly it’s important to point out that bigger is not always better. Even if the study is a low risk study, the research team still needs to justify the need for every person in it. For this reason, smaller is better when it comes to ethics. Why do you need to have 150 people and not 50? These are questions the researchers might be asked when they seek approval for the study from the ethics committee. One of the things that the study will take into account is practical significance. This is basically the size of the effect and past research is used to inform the estimated practical significance and effect size (to inform the required sample size). If there isn’t any past research available then a pilot study will have to be carried out to determine the effect size. If you are looking for a rare outcome then you will likely need a large sample size but for essential oils, the effect size is significant so you will not usually require a large sample size. Basically the more effective something is, the less people we need in the study to identify the effect. We might be talking less than 50 people for larger effect sizes. Bigger (more data) is not always better because it is quite easy to see an effect in a large group of people and it might be statistically significant (more on this later), but the effect size might be extremely small, meaning it’s not really practical or meaningful. For example, heart rate increased 1 beat per minute after inhaling an essential oil. This is an example effect that a large sample size might identify that a small sample size might not. It’s not really practical data or anything meaningful, but it might still be a statistically significant finding in a large sample size even though it’s not meaningful. This is why we also analyse practical significance. A power analysis is carried out based on these points and you want to look in the essential oil research study and find that a power analysis was carried out to determine the most appropriate sample size, especially if it’s a clinical trial. Look at how many people the power analysis stated were required and cross reference this against how many people were actually used in the study. You want to see the number of people meet or exceed the power analysis recommendation as this indicates a quality sample size. If you see an aromatherapy research paper with negative findings, this doesn’t mean it was a bad study. Negative in science doesn’t mean bad. It means there was a negative effect (ie it made the situation worse) vs a positive or neutral effect. How could this be useful? Well you could take this information and factor it in to your safety considerations. Don’t forget about dose too. An essential oil will likely not produce the same effect for every person at any dose you choose. We may find in research that negative effects are experienced in higher doses so we need to use all the research available to us so that we are more informed about what might work, at what dose, in what situations and for who. This allows us to better balance efficacy (the ability to produce a desired end result from using essential oils), with safety. Without negative findings, we wouldn’t have the information to achieve this. Negative findings help us identify at what doses and with who in what situation, the oil might make the situation worse or not work at all. Publications do tend to have a bias towards publishing studies with positive findings though, as it’s ‘sexier’ to have found something that works. So you might not find as many negative studies when searching. If you do want to get your hands on more negative studies, just contact the researchers directly as they probably have a ton of unpublished negative research studies. If you’ve found contradicting studies where one says something does work and another says it doesn’t; segment all the data and check things like the doses, exposure level, frequency, duration, etc. Try and see if there is something clear that shows why it works in one situation and not the other. Negative studies don’t show you that an oil doesn’t work. They show you that it doesn’t work in this particular situation under these specific conditions… which helps you achieve efficacy (the ability to produce the desired end result) when using oils on yourself, your friends, family or clients. Significance in essential oil scientific research, refers to statistical significance not whether the study is something special that’s worth mentioning. Statistical significance refers to whether you can expect to see the findings from the study in the general population. You can’t test everyone in the world in your study, so you have to have a sample group of people and then conduct statistical analysis to determine if the effect experienced in the sample group can be expected in the general population… which is whether your findings have statistical significance. They are basically looking at the probability that what happened in the study will also happen in the wider world. So what is the probability that you will get similar results to the study? They use statistical analysis to determine this and the statistical significance is basically the chance of these results occurring somewhere else and this is shown as a P value in the research study. If a group of people in the aromatherapy research study saw fantastic benefit but the study didn’t achieve statistical significance, then this means you can’t confidently state that you would see similar benefits from the same situation with other people. Statistical significance basically answers the question of “will it work?” … yes it probably will if it has statistical significance. If it doesn’t have statistical significance then we can’t say confidently if it will work or not. It might do, but it might not. Don’t forget about practical significance (effect size) that we mentioned earlier. If you have a large sample size, it might be easy to achieve statistical significance but it might be a tiny effect and not carry practical significance so not really worth your time. Note: Practical significance is based on calculations related to effect size and not just someone’s gut instinct or opinion. Remember we are trying to replicate the results of the study to achieve a desired effect, so ideally we want statistical and practical significance and take note of the effect size. Can you trust the researcher’s findings and analysis? Basically… yes but as long as you read it in the right context. When you read the researcher’s analysis on the findings, what you are actually reading is a couple pages of analysis that is summarising hundreds of pages of notes compiled during the essential oil research study. This isn’t like reading a book and it will take you a long time to go through all the analysis because it’s very dense in terms of insights. Don’t jump straight to the discussion section either as in the discussion, you will be reading lots of other information that isn’t from this particular study and you will have skipped over the facts. The discussion is where the researchers talk about how the findings fit into the bigger picture remember. Methodology – reproducible – detailed and specific enough so you can take it and reproduce it. The methodology and statistical findings is where we can assess the quality. It also takes years of full time study and experience to be able to interpret this section. Remember: the researchers can only answer the question they set out to answer with the study. The findings can’t be taken and applied to loads of different things. Don’t make connections to other things with the findings as the research you are looking at, is only applicable to the particular question at the outset of the research and not lots of different related questions. This is an often misunderstood section of the research. It is not stating that the study is flawed. It is simply stating in what context you should read the study by pointing out all the facts and what the study didn’t cover. To everyday people trying to draw insights from essential oil research, you probably don’t have the experience to properly dissect and interpret the methodology section (which would indicate what is and isn’t included in the study). If you are struggling with the methodology, then skip to the limitation section, as you will then get some sort of a framework for how to interpret the study, as it points out all the limitations for you. It’s more a list of do’s and don’ts and not a list of flaws. So now you know how to find high quality scientific research about essential oils and aromatherapy, what type of study you are looking at, how to read it in the right context and at least some idea of what a quality study looks like. So what are you waiting for? Head over to PubMed with your burning questions and dive right in! Hopefully you find some useful (and very reputable) information that can further your knowledge in aromatherapy and enhance your oily journey.